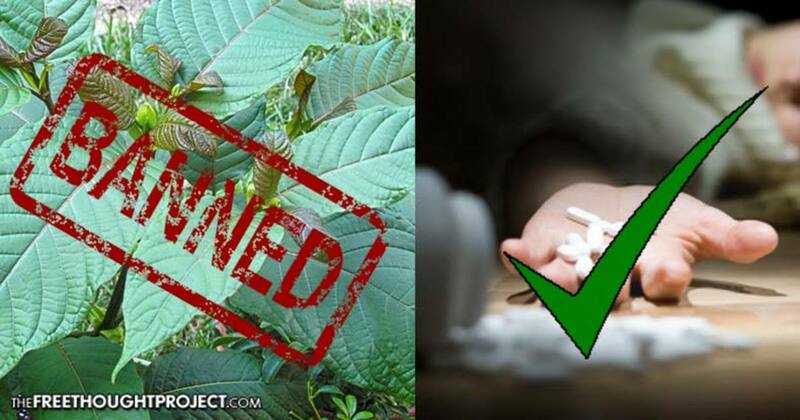 Washington, D.C. – The U.S. Drug Enforcement Agency (DEA) moved to ban the popular pain relief supplement kratom by temporarily placing it on the Schedule 1 list, which denotes “no currently accepted medical use and a high potential for abuse” – the most restrictive classification under the federal Controlled Substances Act. The Administrator of the Drug Enforcement Administration is issuing this notice of intent to temporarily schedule the opioids mitragynine and 7-hydroxymitragynine, which are the main active constituents of the plant kratom, into schedule I pursuant to the temporary scheduling provisions of the Controlled Substances Act. This action is based on a finding by the Administrator that the placement of these opioids into schedule I of the Controlled Substances Act is necessary to avoid an imminent hazard to the public safety. Any final order will impose the administrative, civil, and criminal sanctions and regulatory controls applicable to schedule I controlled substances under the Controlled Substances Act on the manufacture, distribution, possession, importation, and exportation of, and research and conduct of instructional activities of these opioids. One of the major problems with this contention is the fact that Kratom is used by many people suffering from opioid addiction to successfully recover from severe physical and psychological dependence on pharmaceutical opioids, such as Oxycontin, and heroin. Various forms of kratom and teas made from the plant’s leaves are sold in cafes and on the internet. Their primary effect is to provide a short-lived peaceful and calm feeling that is described as pleasant. Consistent with this effect being opioid-like, anecdotal reports indicate that some users have used kratom to successfully recover from physical and psychological dependence on prescription opioids and heroin. Comments on my last report on kratom have also indicated the successful use of teas made from the plant in managing chronic pain without the side effects and addictive potential of prescription opioids like oxycodone, hydrocodone and morphine. The DEA seems to be clearly ignoring the latest in scientific literature. In just the last two months, peer-reviewed research has revealed that kratom could potentially be a much safer alternative to deadly prescription opioids. The latest research indicates that the main component of the herb, the alkaloid mitragynine, and its metabolite and oxidation product, 7-hydroxymitragynine, produce an effect on certain opioid receptors separate from many of the mechanisms that precipitate many opioid side effects. As far as the DEA is concerned, the fact that people in other countries have used kratom for centuries to ease pain, boost work performance, and wean themselves from opiate addiction counts for nothing. All the DEA needs to know is that our shores have been invaded by a foreign drug that is increasingly popular among Americans as a home remedy and recreational intoxicant. From the DEA’s perspective, that is intolerable, regardless of the drug’s hazards or benefits. Although the CDC reported in July that kratom can be abused and that poison control centers have received over 660 calls between 2010 and 2015 regarding kratom intoxication, these numbers pale in comparison to the extreme death that follows prescription opioids, which are the leading cause of drug death in the United States. Drug overdose is the leading cause of accidental death in the US, with 47,055 lethal drug overdoses in 2014. Opioid addiction is driving this epidemic, with 18,893 overdose deaths related to prescription pain relievers, and 10,574 overdose deaths related to heroin in 2014. Recently the state of North Carolina decided not to restrict or criminalize the sale and use of kratom and chose to simply put an 18+ age restriction on the supplement due to the numerous testimonials regarding the benefits of kratom tea and its therapeutic qualities. These moves by the DEA must be seen for what they truly are – an attempt by the federal government to protect the big pharma industry. Kratom, a plant, could drastically cut into the financial bottom line of the opioid death peddlers. However, the federal government instead works to protect the big pharma industry by outlawing the substance in such a way that even studying it would become a criminal act. There is no question that kratom has medicinal uses as the National Institute of Health has noted on its website. The DEA’s ignorant stance, which blatantly ignores the latest scientific research, reveals an agenda at play that has little if anything to do with keeping people safe, and everything to do with protecting drug makers. Please share this article to wake other people up to the fact that the DEA is only operating as the guardians of the big pharma monopoly!